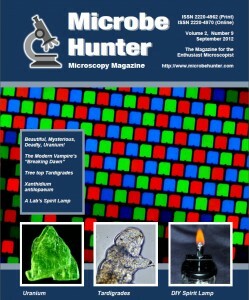 Welcome to MicrobeHunter Microscopy Magazine. You can download the PDF and order a printed version. At this point I would also like to encourage all readers to participate by writing articles (short and long). Read the submissions page for more information. If you encounter any errors or mistakes, please inform me, I will correct these and upload a new version. Long wave ultra violet light causes uranium to glow bright green making it an beautiful sample for microscopic investigations. How the Rabies Epidemic of the 18th Century Created a Paradigm Shift in Vampirism. Tardigrades (moss piglets or water bears) are small animals with eight legs. They can be commonly found in moss, and “like spiders, they cast their skins”. 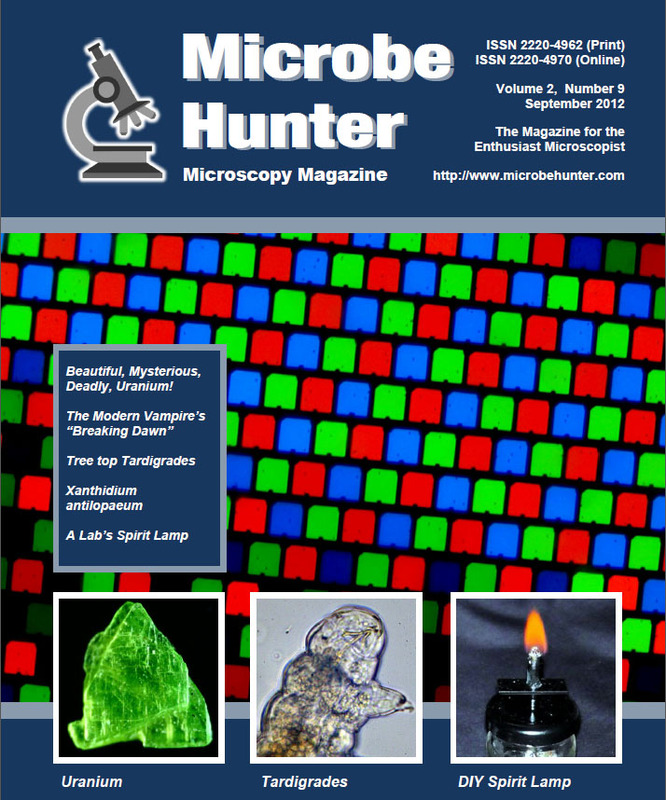 A spirit lamp can be a versatile addition to a microscopy laboratory.